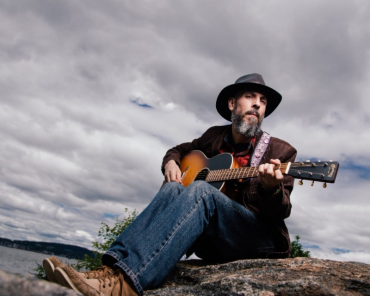 New York’s Greg Jacquin has released the full-length album, Hudson River. According to his biography, Jacquin traces his roots and inspiration to the Hudson Valley. He was born in Sleepy Hollow, New York, in 1970. Jacquin’s release is one of the more impressive Americana albums to come along in 2018 – his pulse putting to music feelings of being alone, depression and even people watching make Hudson River a two-thumbs up record. Jacquin is the son of a Cuban immigrant, which makes his strong command of the Americana and folk genre all the more interesting. Surprisingly he doesn’t have any of the Cuban influence in his music, but you can tell he grew up on The Beatles, Cat Stevens and probably Jim Croce. His voice stays within his comfort zone for the most part and his delivery takes you in. In “The Station” Jacquin pleads, “you won’t recognize me maybe, you won’t throw me a line.” I really liked this song and I loved how it set the stage for the rest of the album. His lyrics get a lot sadder and strangely beautiful. I loved how in “Station” (and in most of the other songs), the violin is the undertow to his voice. You can still hear the presence of acoustic guitar, and the percussion is just perfect. “Floating” is also a great song. The violin is breathtaking. What a gem – this song truly feels like you’re a raindrop or that you’re making your way down the Hudson River. “Floating” will get you ready for summer’s sun kissed days and starry nights. My next favorite song is “Hopeless Entrance.” Jacquin turns up the darker button a notch. I have a feeling he wrote this song in the early morning hours, or while being in bed all day surfing social media. At one point I felt like his voice dove lower like Dave Gahan (Depeche Mode) or even Eddie Vedder (Pearl Jam). Honorable mention goes to “Scratches and Bridges.” Jacquin receives mad props for changing things up some with including a trumpet. I loved the added flavor the horns provided. Perhaps this influence comes from his Cuban roots. If you’re a die-hard Cat Stevens fan looking for the pop-sounding tracks like “Peace Train” or even “Moonshadow” you will need to look elsewhere than Greg Jacquin’s Hudson River. What you will find instead are eight tracks that an artist gave everything for – Jacquin’s lyrics might be heavy-handed and a bit on the sad side, but he triumphs. Hudson River will be a great addition to your musical library, especially for rainy days and when the foliage starts to fall. As a listener I never felt too sad or too lonely to finish the tracks. In fact, I hit repeat several times. If the mark of a true artist is to connect and have their listener feel something, then Greg Jacquin not only accomplishes this, he masters the technique. Like a master painter, he brushes the dark and the light to create a chiaroscuro Americana pallet.